Here at Red Hawk Trading, we take a great deal of pride in our tent and tipi products. 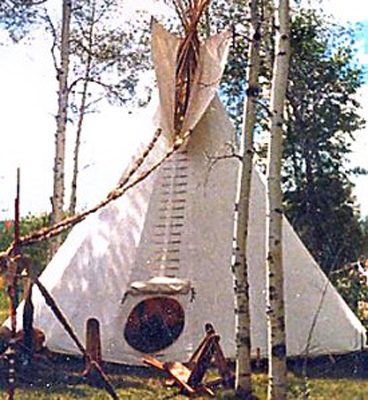 We are a family business and have been involved in the manufacturing of tipis and mountain-man-style tents since 1978. We strive to maintain the highest quality of workmanship possible. Our methods have proven so effective that other manufactures try to copy them. Dealing with us is simple and straightforward. Please give us a call at 1-800-403-HAWK (4295) or email us at Red Hawk.